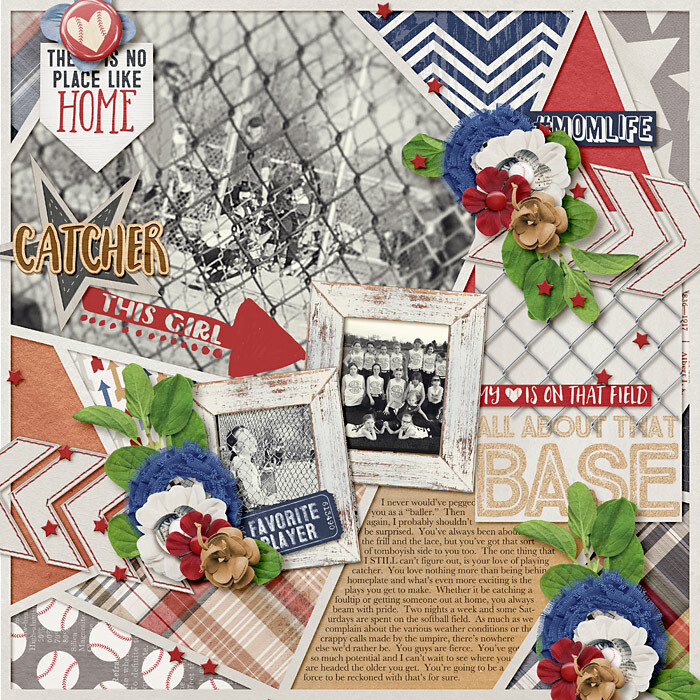 Get ready to knock those pages out of the park with Wendy’s newest release, Homerun! 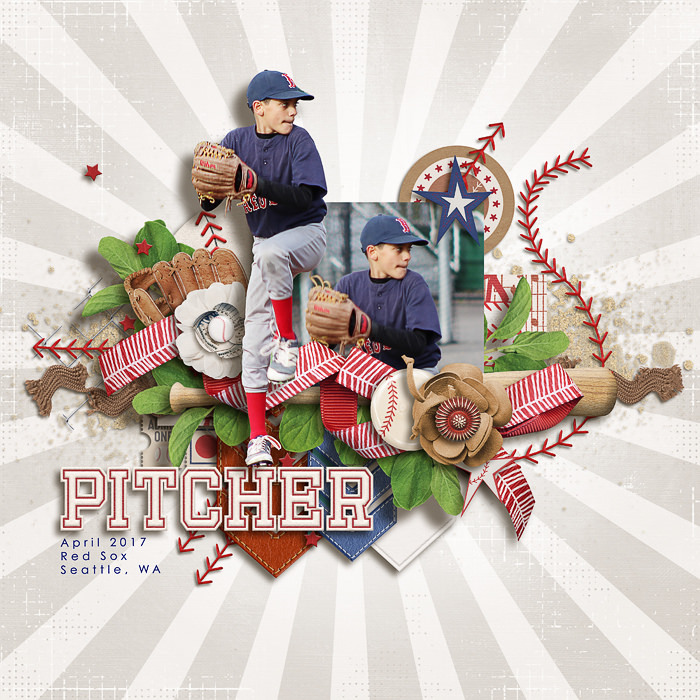 Perfect for all baseball players and lovers, this kit is packed full of word art and elements related to America’s favorite pastime. 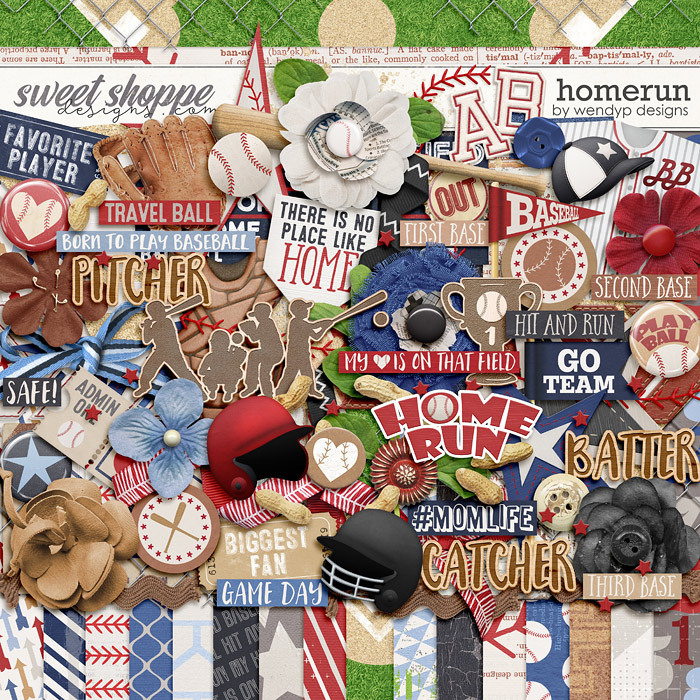 Additional elements include flowers, a baseball, helmet, bat, glove, and coordinating alpha. 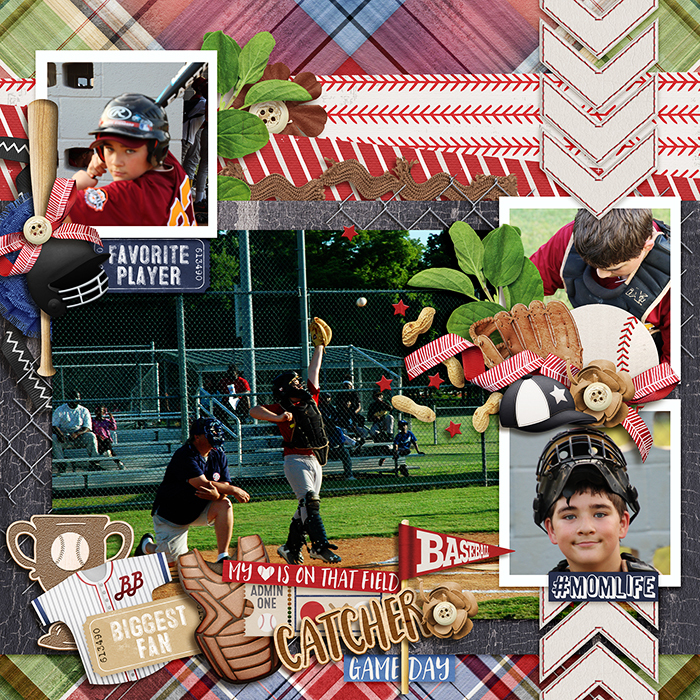 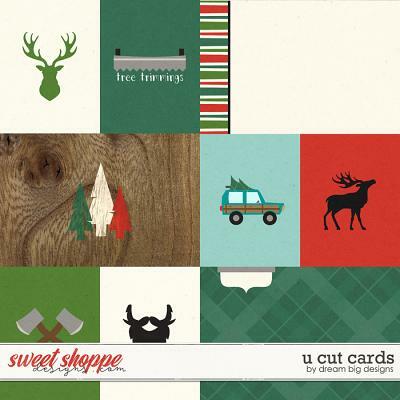 Neutral hues along with punches of red, green, and blue work with any photos, regardless of team colors. 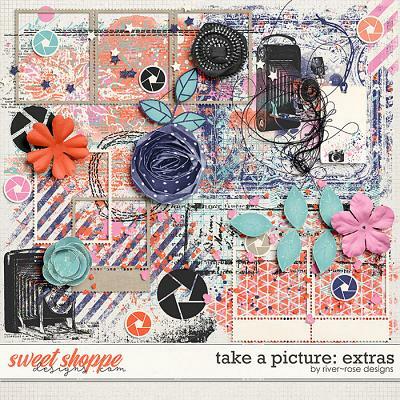 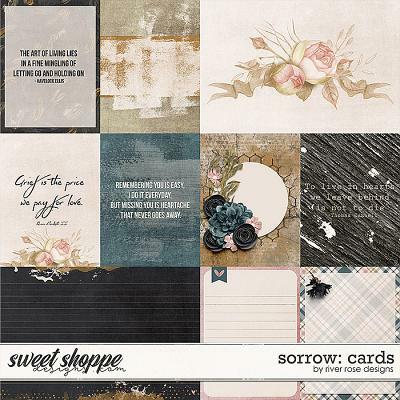 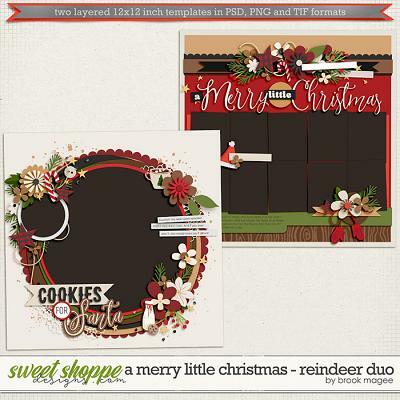 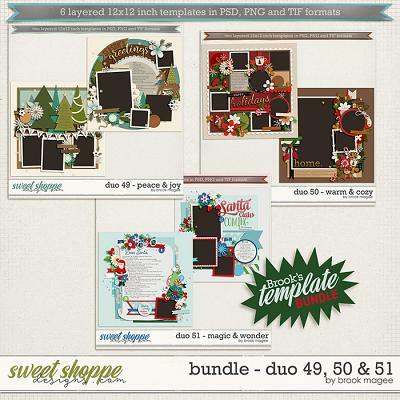 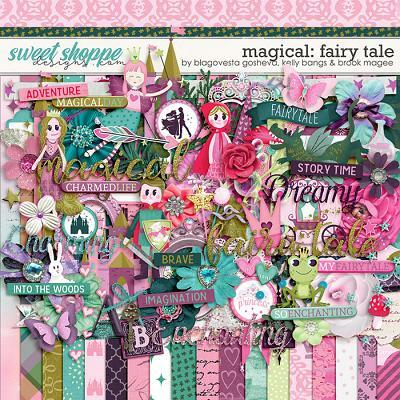 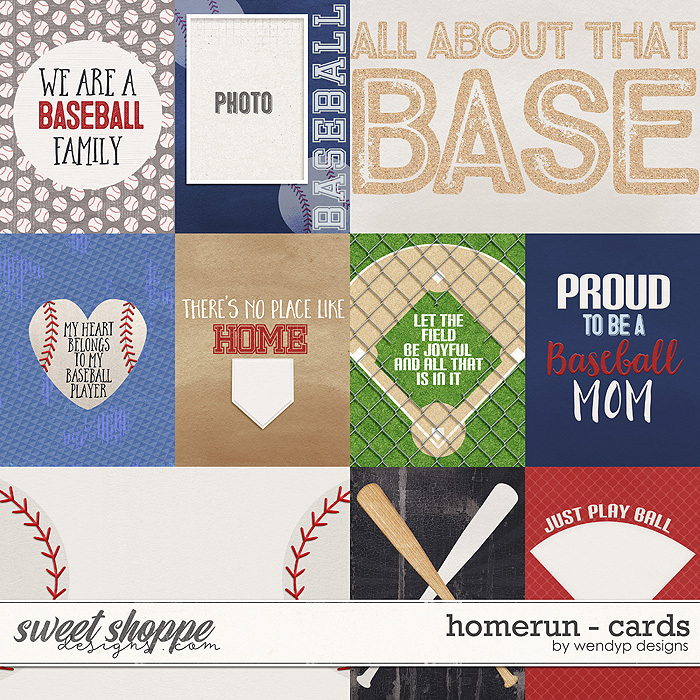 Step up to the plate and hit a homerun with this adorable kit! 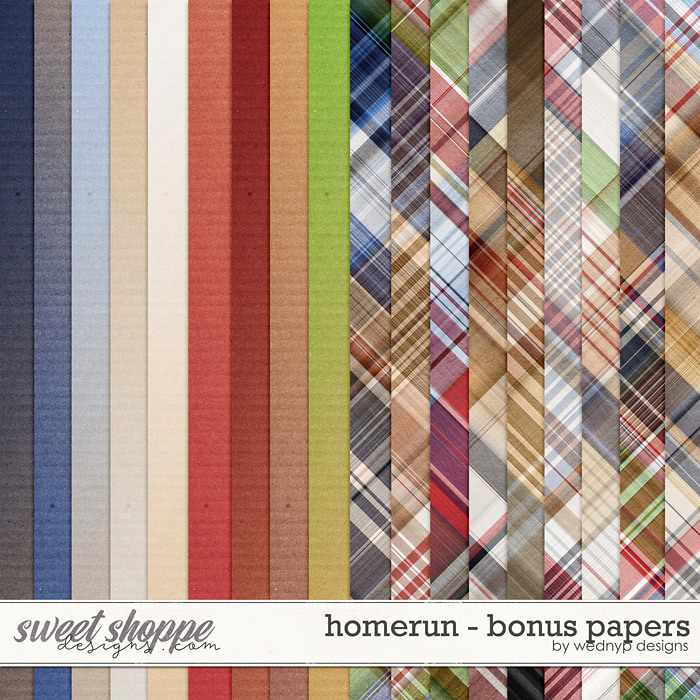 "Homerun" is packed with 16 patterned papers and 8 solids and a total of 94 elements like 2 arrows, 1 baseball, 1 bat, 1 bottlecap, 1 bow, 3 buttons, 1 cap, cathers chest, 1 chainlin fence, 4 chevrons, 1 chip, 1 field, 2 flags, 4 flairs, 7 flowers, 1 foliage, 2 frames, 1 glove, 3 normal helmets, 3 helmets with gear, 2 home, 2 jersey shirts, 3 labels, 3 paint, 1 peanuts, 1 player line, 2 ribbons, 1 ricrac, 1 sand, 1 scoreboard, 4 silhouetes, 1 staple, 3 big stars, 1 star scatter, 1 stithc, 6 tags, 1 tape, 3 tickets, 1 trofee, 4 wordart, 11 wordbits and 1 alpha with uppercase and lowercase letters, numbers and symbols, 18 bonus papers, and 10 pocket cards.